There are a few places in the world that call to me more than others. I guess you could say they are my bucket list. There is the Taj Mahal, the Pyramids, Machu Picchu. Heck, list a UNESCO site and I probably want to see it. 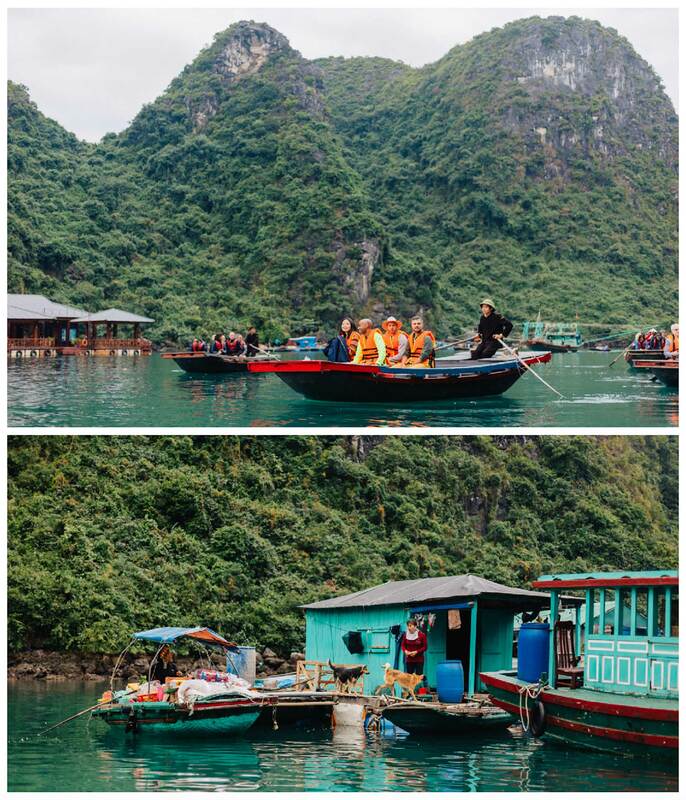 Halong Bay was always one of those places that I dreamed of visiting, and the real thing was absolutely surreal. 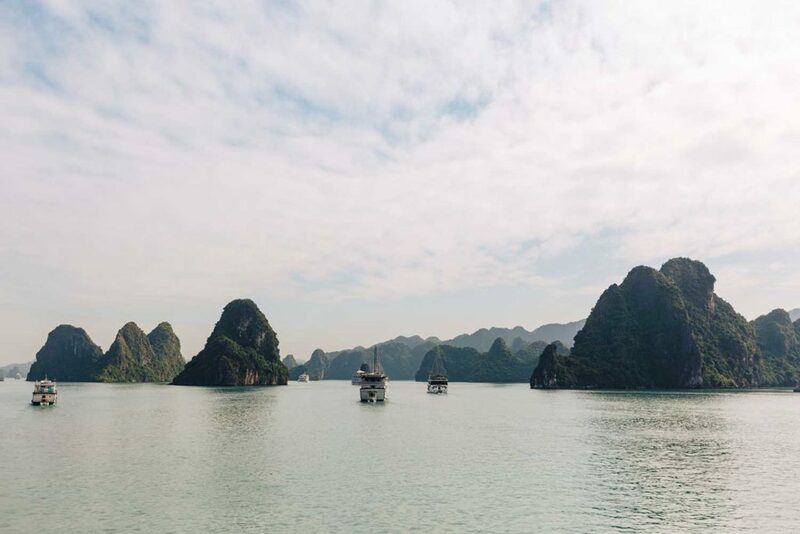 For those of you who have not heard of Ha Long, it is a bay of deep turquois waters off of the Gulf of Tonkin, in Northern Vietnam. What makes this place so unique is the rock formations that jut up from the sea, creating towering limestone pillars topped with bits of jungle. It is an otherworldly landscape that left me in disbelief for the majority of my 3 days cruising its waters. Service started off with some green tea as we waited to board our Indochina Junk. 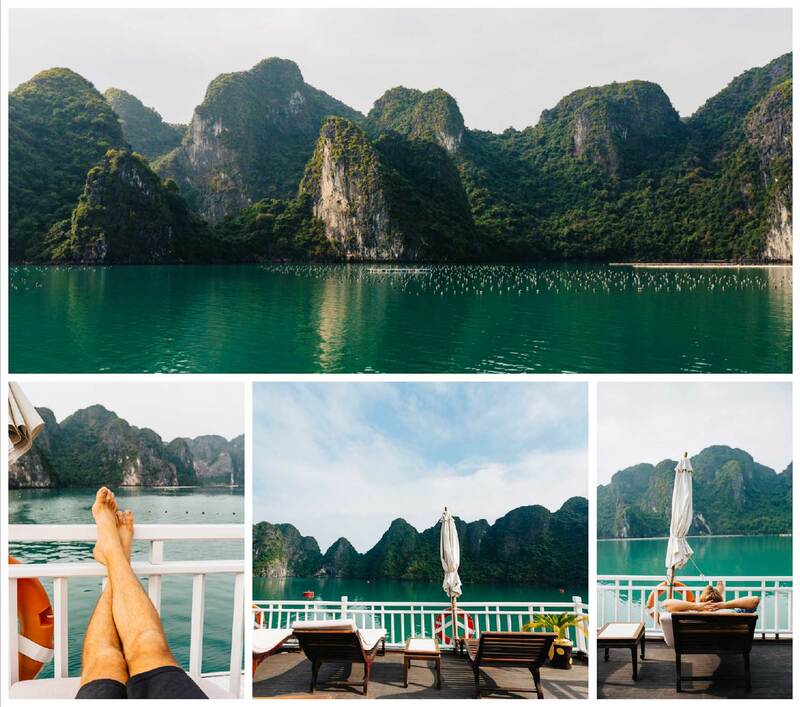 The best, and probably only way to really see Ha Long Bay is by staying aboard a cruise ship. I think the romantic in me always imagined experiencing it, specifically, on a Vietnamese Junk. 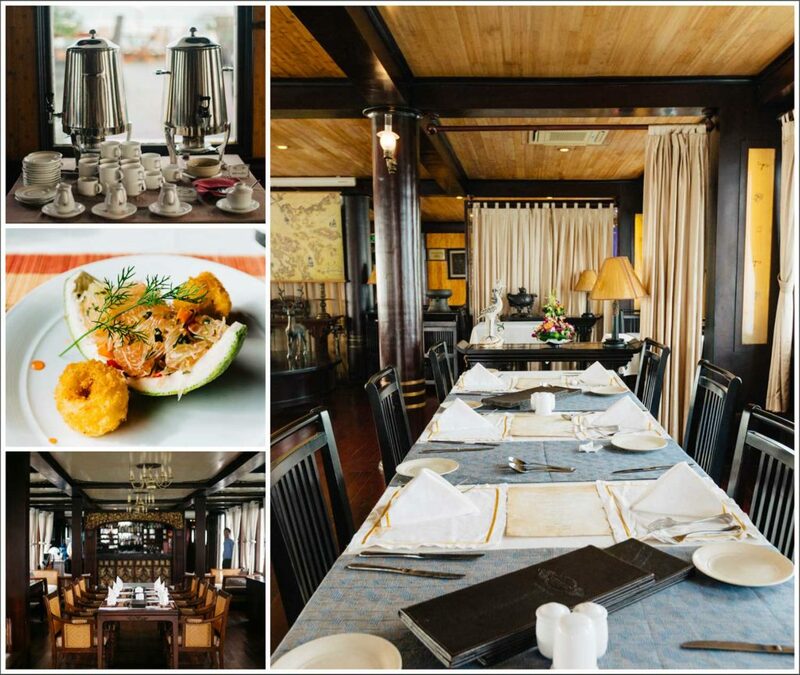 There are literally hundreds of companies to choose from in Ha Long Bay, ranging from backpackers budgets to 5 star Luxury. 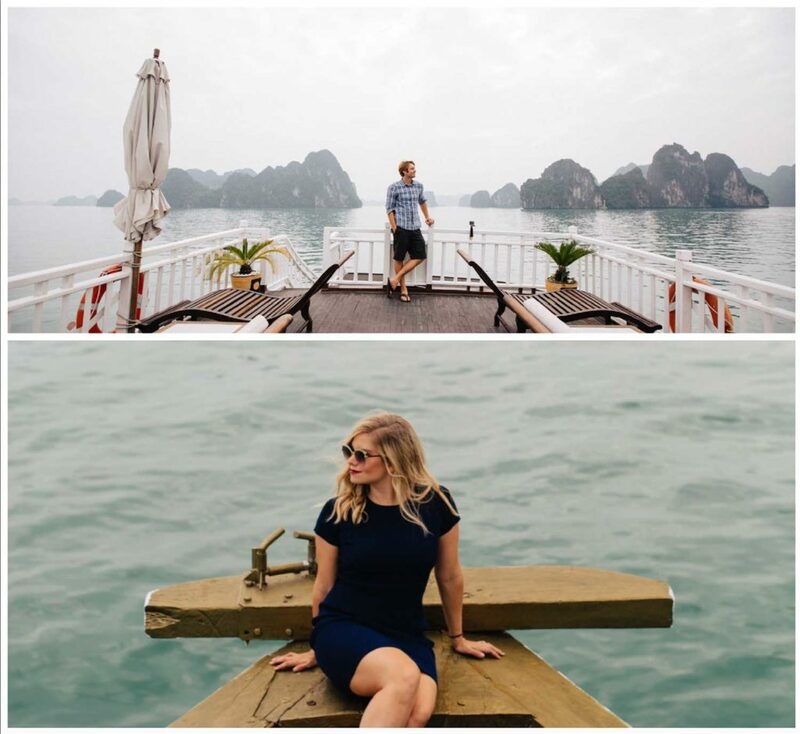 We had heard many people who visited Ha Long Bay didn’t fully enjoy it, which to me was surprising, as I can’t see how you could not 100% adore a cruise in such a breathtaking place. 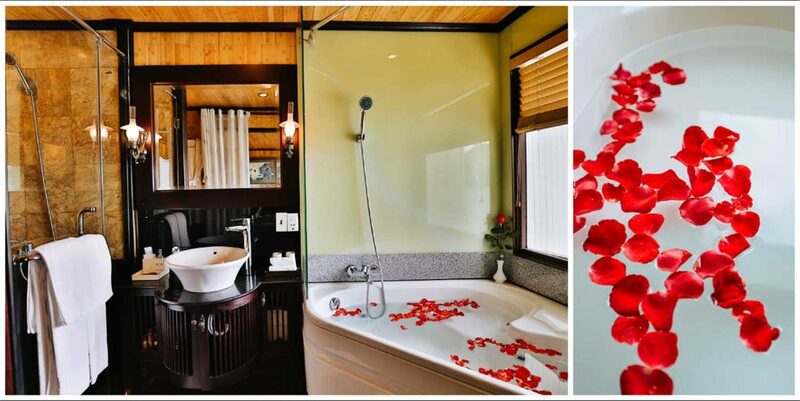 So we felt compelled to really vet our options, and ended up booking 2 nights of luxury with Heritage Line. Throwing up the sails at dawn. My favorite activity of the Cruise… doing nothing. The Jasmine and her sister ship, the Violet, cruising side by side at sunrise. Our favorite spot on the boat was the top deck. 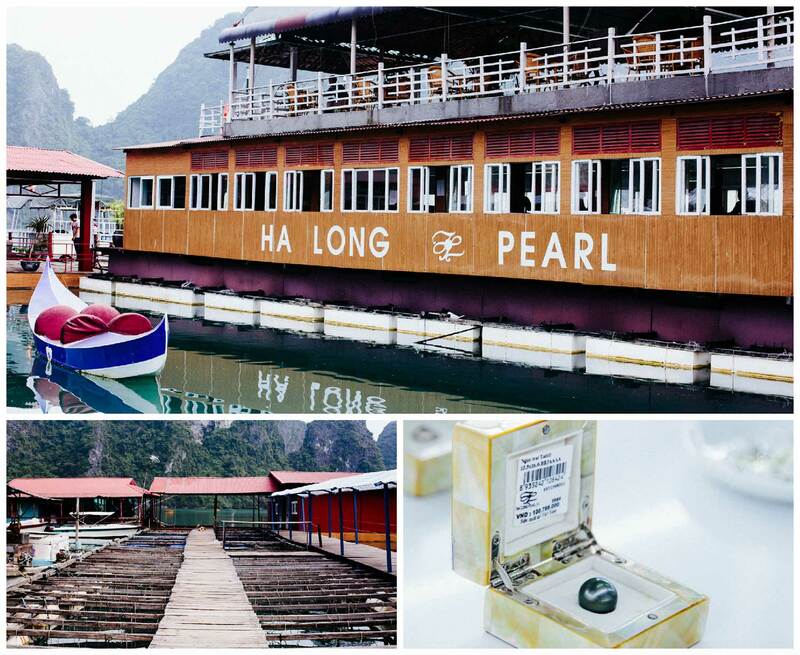 Heritage Line runs 2 Luxury tours out of Ha Long Bay. They have their 5-star brand spanking new and exclusive ship, “the Violet.” And then there was our home on the water, the elegant and timeless “Jasmine.” The ship itself was 4 stories of dark polished wood. It was open and bright, seemingly with endless possibilities of places to lounge with a cocktail. Elegant dark polished wood interiors. The crew of the Jasmine definitely gave us a warm welcome. Ok, it was not our Honeymoon, but they definitely made it feel like it was. 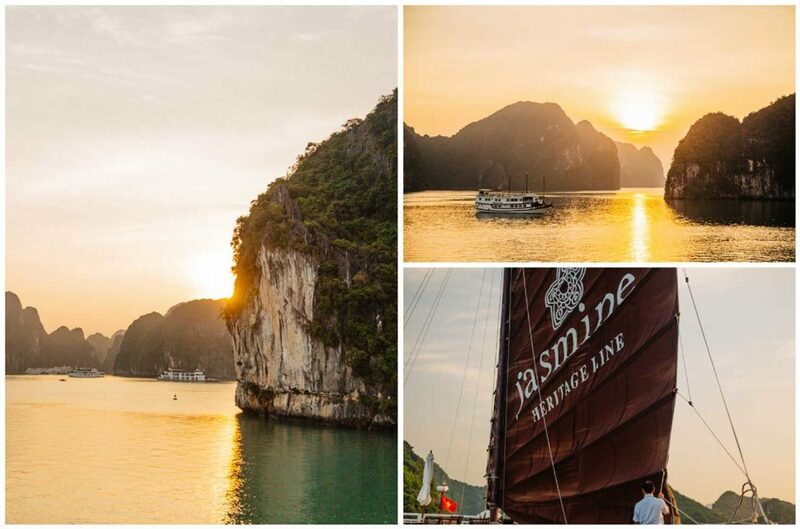 Being aboard the Jasmine is the epitome of tranquility. Slowly and silently drifting through emerald waters, as surreal landscapes drift past. I was lulled into a level of leisure that they basically had to rip me out of my lounge chair to participate in the many activities that the cruise offers. 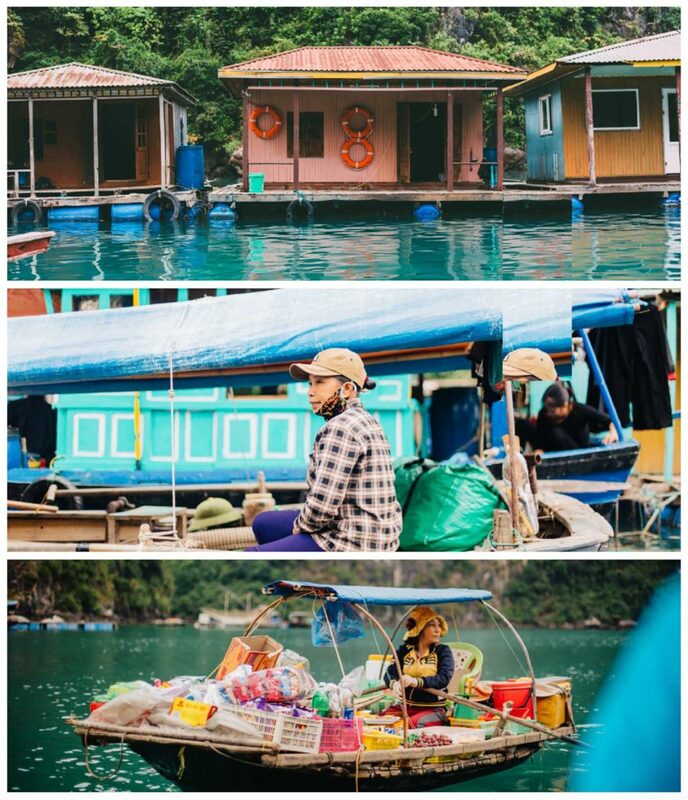 During our 3 day 2 night stay, Jason and I visited a couple of caves, a fishing village, a pearl farm, participated in a cooking class and even did some sunrise Tai-Chi. Each activity was like having your own personal tour guide, which makes the cruise worth its weight in gold alone. Once we would return from our activities for the day we would then be served incredible multi-course meals. From Pommelo and calamari salads, to traditional Cha Ca, to Filet Mignon, we were so spoiled with each course presented in front of us. 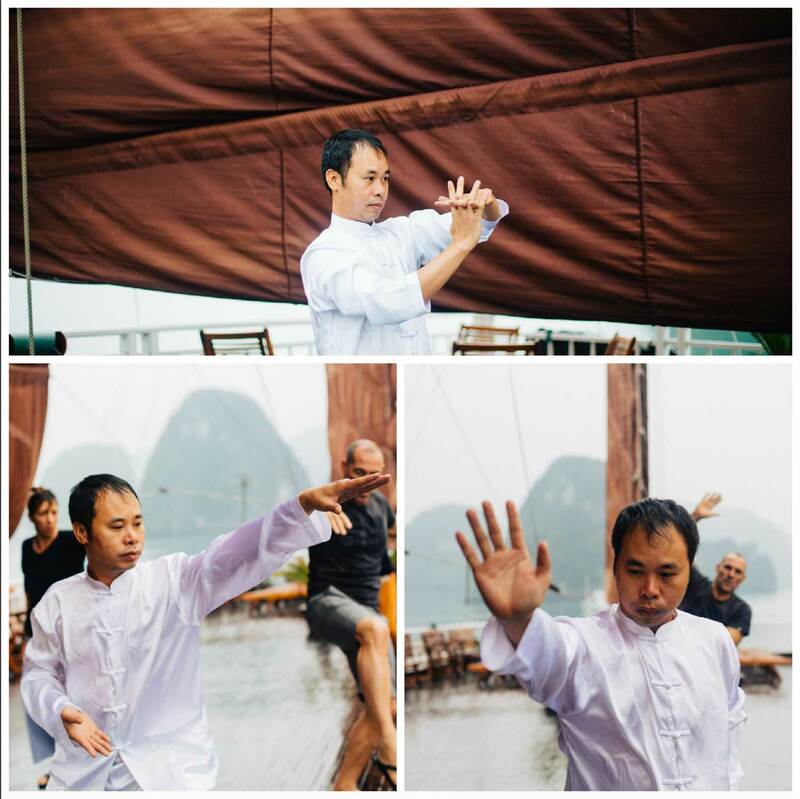 Sunrise Tai-Chi classes are offered on board the Jasmine. Visiting the Fishing Village. Literally a Village on the water. Life in the Fishing Village. 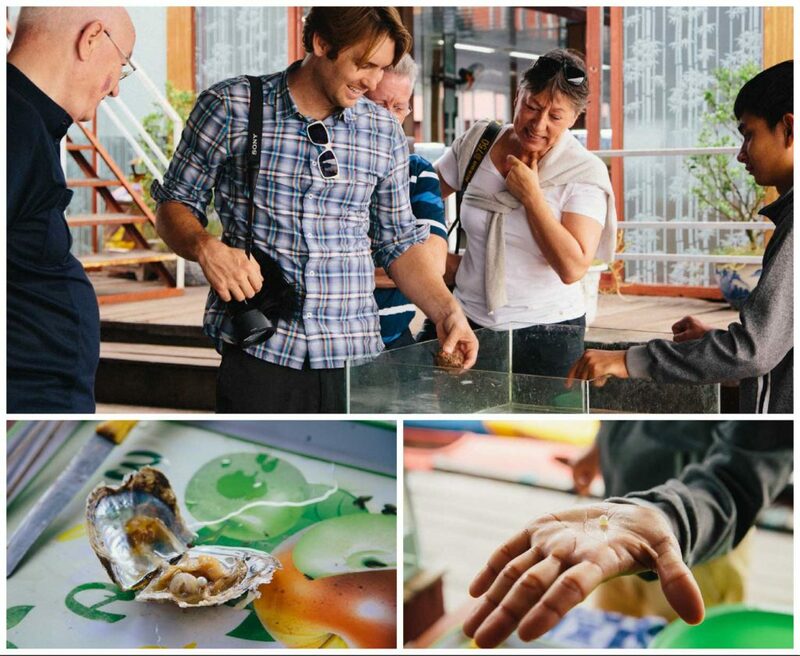 Jason picked one of the oysters with a pearl! Every meal was so beautiful and delicious. The best part of the Jasmine by far was the crew aboard. They made us feel like royalty. They were so attentive to our every need, and super personable and available. 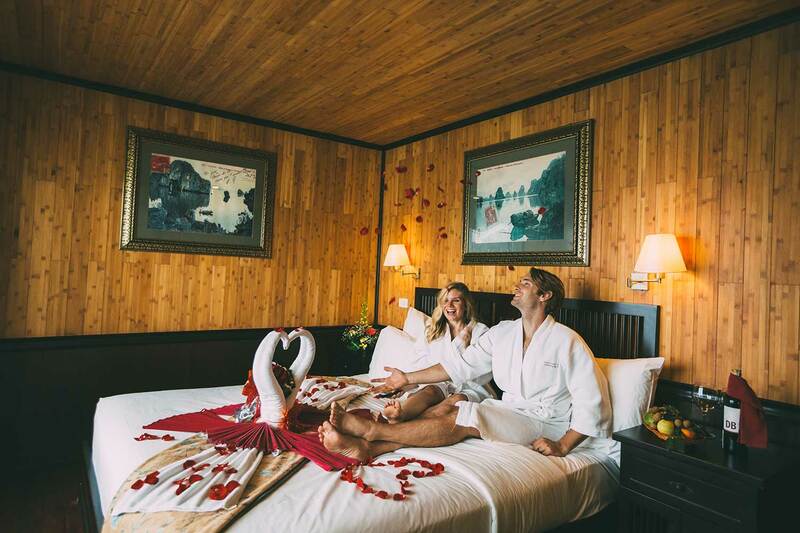 They even surprised us with a romantic honeymoonesque set-up in our Junior suite when we arrived. After working in a 5-star resort in Hawaii for the past 3 years, I can attest to the quality of service that this company commits itself to. It is honestly second to none. 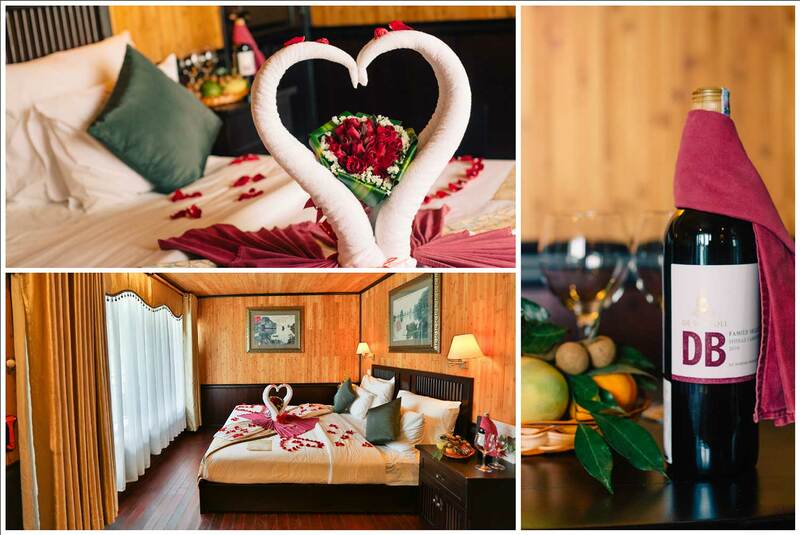 I am convinced that your choice in cruise company is directly linked to the level of enjoyment you will have during your stay in Ha Long. 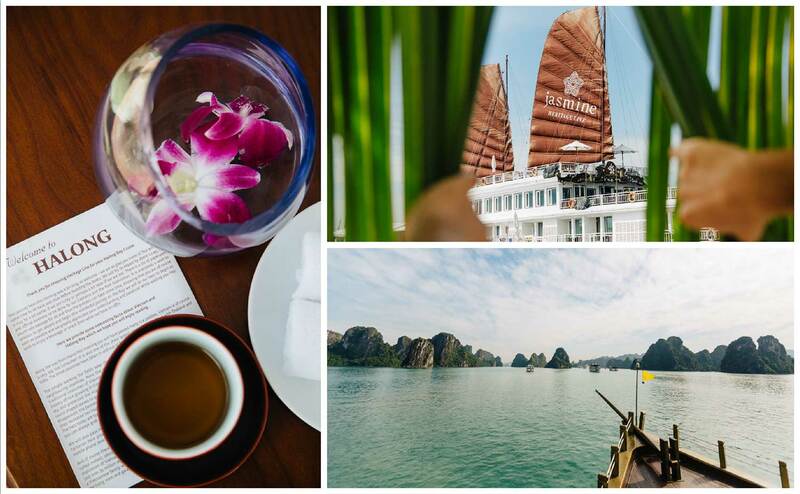 A cruise company, like Heritage Line, committed to quality and service is what made our experience in Ha Long so memorable. That way we could just spend all our extra time gawking as one incredible panorama unfolded into another. Those 3 days will be a time that I will remember for the rest of my life. 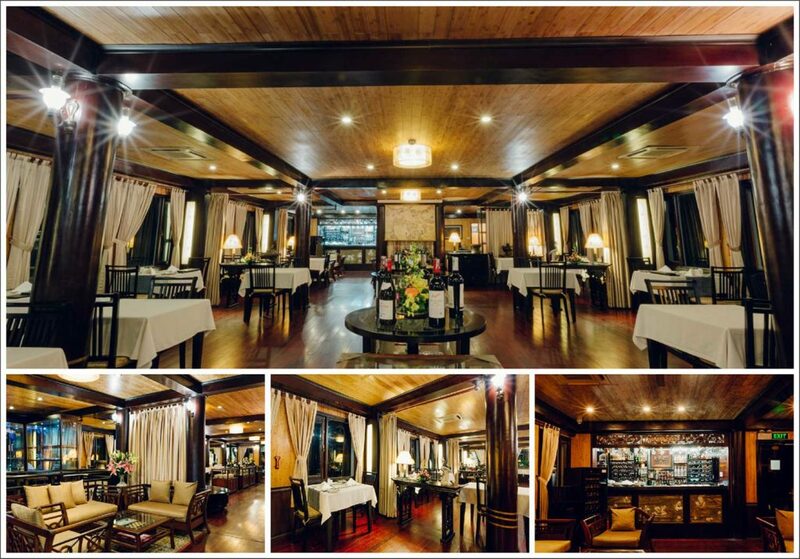 Ha Long is one of those places that deserve to be done right. So if you are thinking of visiting, choose your cruise wisely. So many options to lounge! 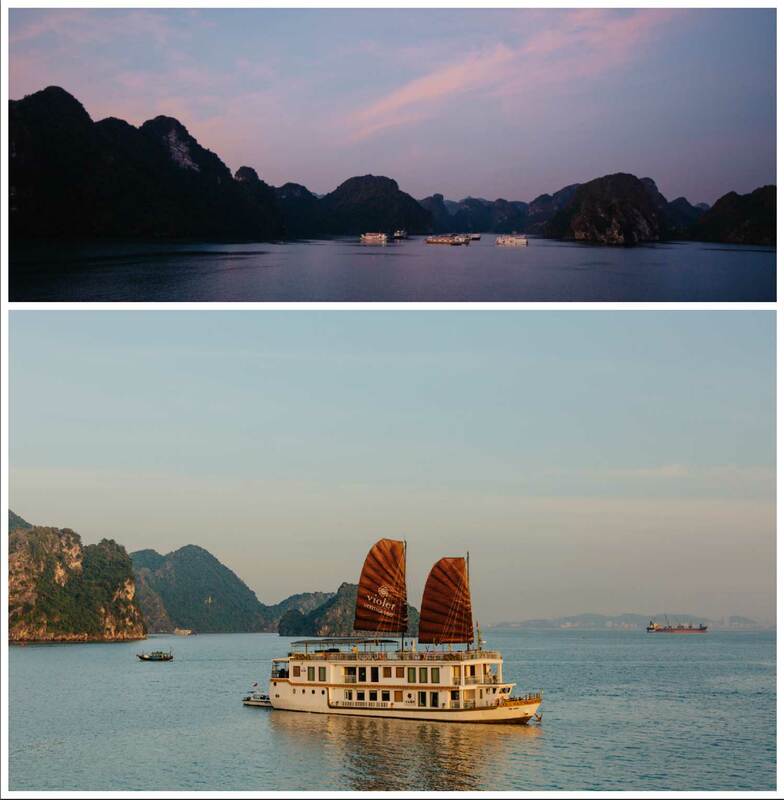 0 Comments on "Halong Bay | Aboard Heritage Line"